super easy, super fabulous top knot! 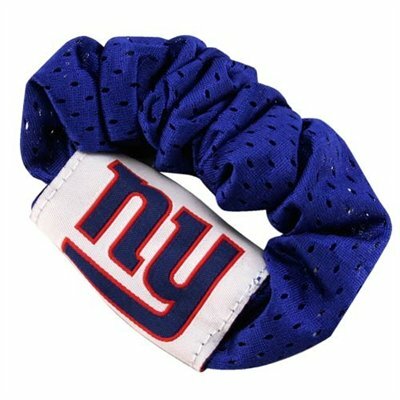 who doesn’t need a giants scrunchie? 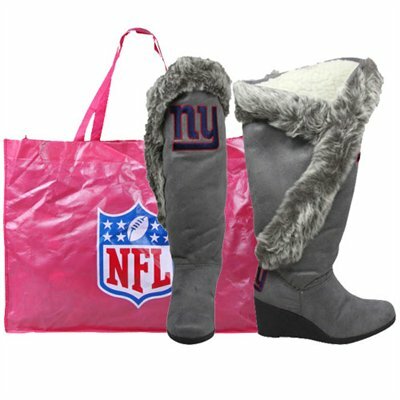 Here in the Northeast there’s a bit of a divide over who to root for for the Superbowl. 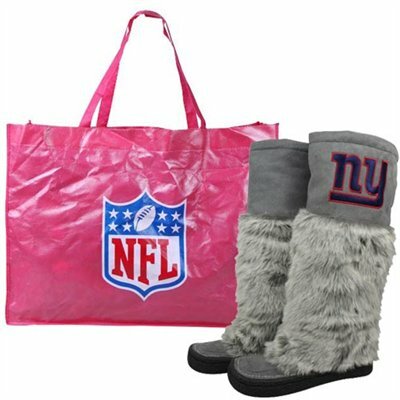 You would think all New Yorkers would be thrilled the Giants are in the Superbowl, but a good chunk of them are Patriots fans. Me? 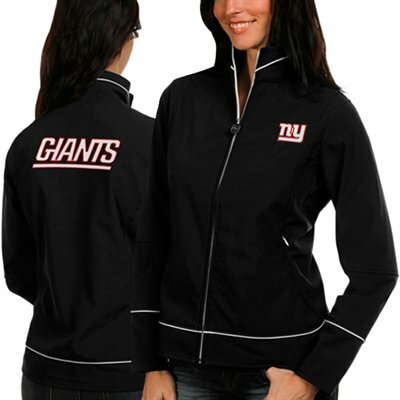 I’m all for the Giants. I jumped on the football bandwagon a few weeks ago because I wanted to have a beer on a Sunday afternoon I thought it would be fun to attempt to understand football again. Giants win, Giants win. Superbowl time. So of course I need to find some sh*t to wear. Le sigh, the purse. Hmmmm. Ok, so maybe a Giant’s purse isn’t that bad. I mean, if you’re a fan and you need a purse you might as well show some love, right? I’m trying not to be too snarky here. The boots are a little scary, but I bet they’re super warm and they’d look cute with a pair of skinny jeans or leggings. I’m sure I’ve got boots that some people might laugh at, so no judgement…just a raised eyebrow. The scrunchie has to be my absolute fave. I mean, I’ll wear a scrunchie to the gym, but does anyone wear them out and about anymore? I’m just waiting for the floor length Giants formal gown to hit the apparel store, you wait, it’ll happen someday. I have friends who are truly horrified to hear that I actually CHOOSE to wear scrunchies (even if it’s just to the gym) but it’s so much easier on my hair. While arguing my workout hair pullback choice I brought up what I felt was a valid point…could the scrunchie ever experience a renaissance? While I cannot fathom sporting my scrunchie anywhere but the treadmill right now, could it someday see the light of day at the office? In the club? Trends are reborn, repurposed. Think wedges, think leggings (seriously in 2002 did you really think leggings would come back?? 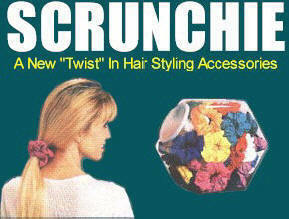 ), think fannypacks Could the scrunchie be next? 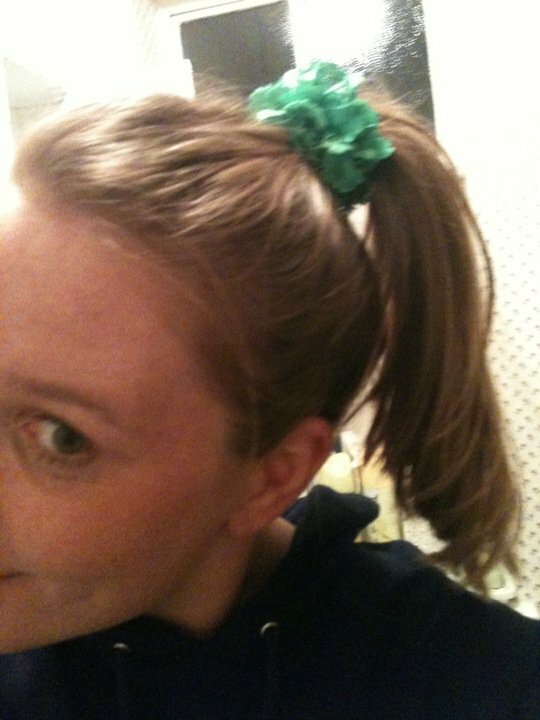 Nah…..for now I’ll rock my gym scrunchie and wait for the next repurposed trend to roll around. How about a hypercolor revival?